Your white kitchen cabinet design is almost like a safe haven of sorts. However, it doesn’t need to be bland. You can spice things up. Various approaches can be taken. You can improve the design of your white kitchen and add life to it. The selection of your white kitchen cabinet design is essential to the character and overall personality of your kitchen. White can be a very elegant color. This happens especially when used correctly, tastefully, and with prudent personal judgment. Below are some kitchen cabinet tips. They will help facilitate your decision-making process. The selection of kitchen cabinet doors proves to be essential to the overall aesthetic of your kitchen. 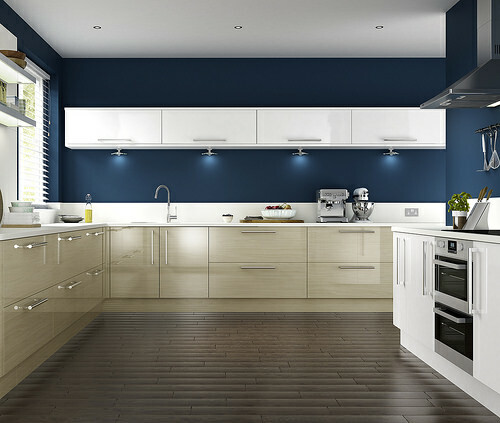 White kitchen cabinet doors can be lifeless in a space that ultimately serves as a haven for productivity in your life. 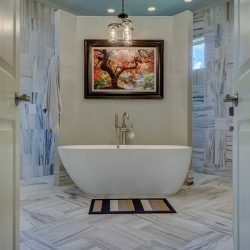 Adding some color to your design choice is helpful in livening up space. The doors shape and geometry also prove to be essential in helping create the feel of the kitchen. Careful selection of elements is imperative. For example, if you were in different areas of New York, be it Manhattan, Brooklyn, or Queens, your choice may vary based on location. Also, material offerings differ based on where you are. This affects your decisions on what kitchen cabinet doors are available to you. 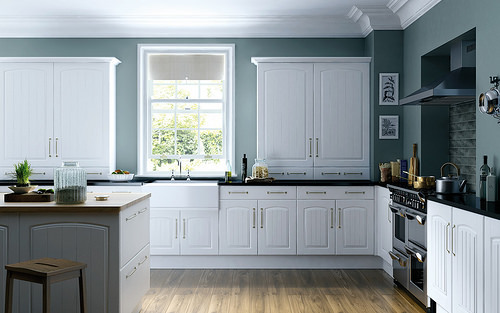 The second of our kitchen cabinet tips discusses material choice. White kitchen cabinet design is characterized largely by material choice. Choices of materials such as wood, copper, and iron, and a mix of these materials, is essential. It creates a well-integrated aesthetic. This adds to the sense of personal space. It also maintains the overall private feel. This can be integral to creating the inclusive feel. This feel is necessary for an area of this architectural and interior function. For example, exposed reclaimed-wood rafters can be combined with treated copper for the range hood. Chicken wire can go on top of the cabinets. 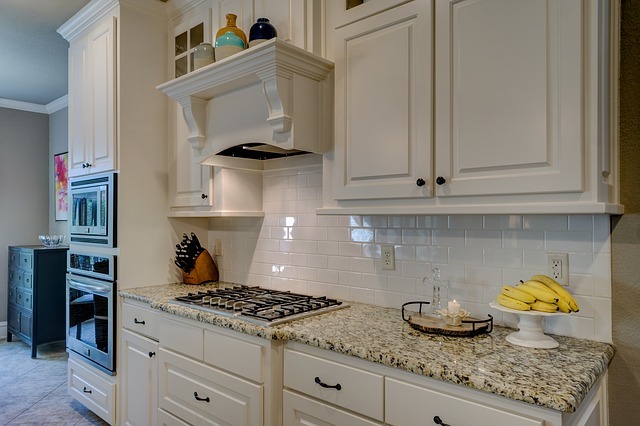 Granite perimeter countertops also allow a beautiful contrast between cabinet details and the white painted backsplash of the materials themselves. The last of our kitchen cabinet tips regards another point. White kitchen cabinet design has the ability to integrate with certain choices like tile design. Statement tiles can complement a white kitchen very well. They offer the versatility of personality. They also ensure you can paint different parts of the color spectrum onto your kitchen floor. 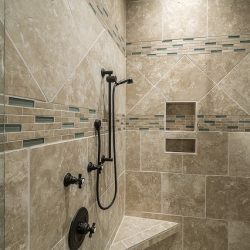 Tiles help provide a decent visual area of visual differentiation. Cabinets can be maintained along the perimeter of the tile layout. This is done in order to optimize functionality and storage. The integration of different elements, namely the selection of doors and cabinets, and their inclusion in the context of the kitchen as a whole, collaborate strongly. This provides the overall impact that the kitchen offers. Synergistic action of the above factors is the sine qua non. It’s an effective backbone to any proper development. This is essential not only for you working inside your kitchen. This is also important for any visitors that may come to your home and view it. They will be viewing your location of work, your “hub”. Proper maintenance and upkeep are essential in order to keep it functional. Functionality, in terms of aesthetic and the function of the space in an architectural sense, is important. The nuances of designing all the aspects of the kitchen need to be considered very thoroughly. We need to think about the unique and hard-to-attain mix of private and public that a kitchen is supposed to achieve. This is crucial if desirable results are to be attained. This includes the aforementioned choices such as floor tile design. Integration of different materials with wooden rafters on the ceiling is also important. All choices carry their own weight. The gravity of one decision can have a spillover effect on others. White kitchen cabinet design is not complete without fixing quality kitchen cabinet doors. They will complement and add a sense of class to your kitchen. Contact Home Art Tile Kitchen and Bath to get more kitchen cabinet tips and a free estimate.